Where Are All The Curse Words In iTunes Radio? 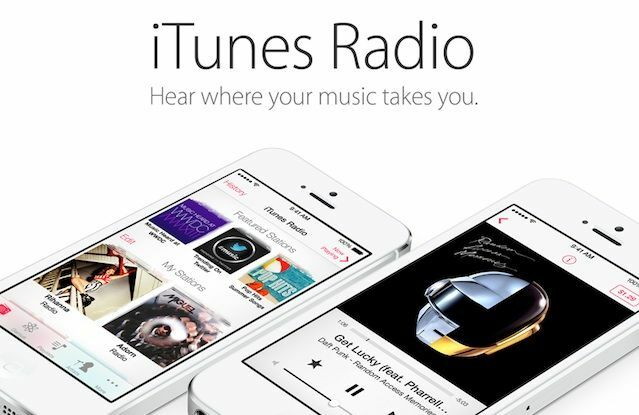 Apple finally announced its long-rumored iTunes Radio service yesterday at WWDC, and even though it doesn’t officially launch until this fall, we’ve been taking it for a spin in the iOS 7 beta. Initially, iTunes Radio has left us fairly impressed, except for one huge omission: all the curse words are missing. When you stream music via iTunes Radio stations, all songs with profane lyrics are streamed in an edited edition, even on user-created stations. We’re not just talking about radio edits where more family appropriate lyrics are dubbed in. Nope, iTunes Radio just strips out the whole word so you’re left with awkward gaps in the song as your favorite artist chokes out a horrific blast of profanity. During our time playing with iTunes Radio we haven’t come across a single explicit track that isn’t censored, so if you love to bath in the crass lyrics of hiphop’s greatest living legends, you’re out of luck. We’re not sure if this is how iTunes Radio will always function or if it’s just a bug similar to the censoring bug Cult of Mac discovered in iTunes Match last year. Changing parental control settings doesn’t appear to have any effect on the censorship at this time, and there are no toggles for unedited music streaming in the Music app settings either. We reached out to Apple this morning about the notable absence of profanity from iTunes Radio, but haven’t heard back yet. We’ll let you know if they give us any new details. Update: We’ve heard from a number of beta testers that iTunes Radio is playing explicit tracks for them. Our continued testing has found that the bug is intermittent, but there are still long periods where iTunes Radio will stream censored tracks without reason.